Your Sip, Savor and See Dining Guide! have an over abundance of options is dining! We’re proud to offer you a variety of tempting, delicious gourmet dishes at all of our resort locations. But Unlimited-Luxury® means having choices. 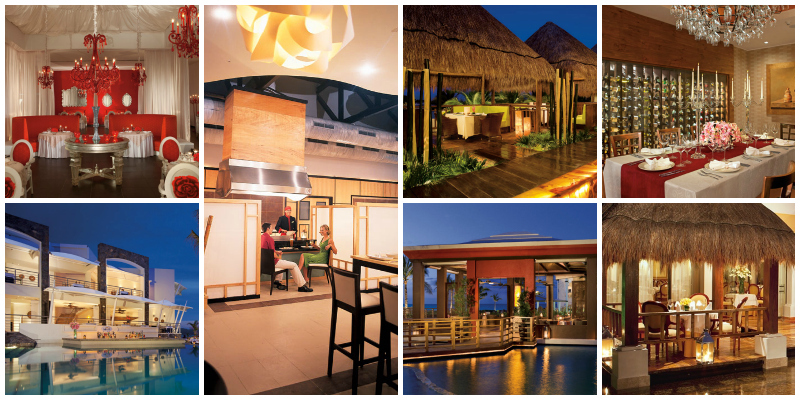 With the Sip, Savor and See program you get a chance to experience the fine dining at some of our sister resorts! Make arrangements with your concierge before 3 p.m. and have a little adventure with your dinner. Make sure you check out the details online. With Sip, Savor and See your dining options multiply exponentially! At Now Sapphire Riviera Cancun? Take a trip over to Dreams Puerto Aventuras Resort & Spa for dinner at Portofino and then check out the dolphinarium! Relaxing at Now Amber Puerto Vallarta? Have a date night at the adults-only Secrets Vallarta Bay Puerto Vallarta! Want to explore Punta Cana while at Now Larimar? Head to Dreams Punta Cana Resort & Spa for a romantic after-dinner walk along one of the largest free-form pools in the Dominican Republic. Some limitations apply so make sure you talk to your concierge for all the details! Then head to Facebook and Twitter and let us know which restaurants you love! This entry was posted in Now Amber, Now Jade Riviera Cancun, Now Larimar Punta Cana, Now Resorts & Spas, Now Sapphire Riviera Cancun and tagged dining, Now Amber Puerto Vallarta, Now Jade Riviera Cancun, Now Larimar Punta Cana, Now Resorts & Spas, Now Sapphire Riviera Cancun, Sip Savor and See. Bookmark the permalink.